A veteran TV writer/producer recounts how he got lucky and made an obscene amount of money during Hollywood’s go-go ’80s and ’90s. Few would deny that Stepakoff is one of the luckier people in television: To have nabbed as much work and earned as much money as he has—as a writer, no less—practically implies the presence of a watchful higher power. Fortunately, his upbeat, smiley memoir is very mindful of this fact, and the author rarely tries to play the sympathy card. His narrative bounces amiably from getting an MFA in playwriting at Carnegie Mellon to scoring extremely fortuitous meetings with powerhouse TV writers and producers like Steven Bochco and John Wells. 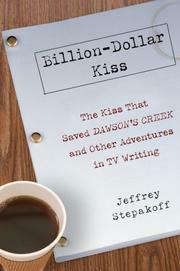 Stepakoff moved up easily from well-connected intern to writer, working on shows including The Wonder Years and Dawson’s Creek. The text frequently reads like a speech to prospective TV scribes, laying out the mechanics of residual payments and explaining Hollywood’s intricate social hierarchy. A little of this goes quite a long way, especially as Stepakoff seems more interested in chronicling the massive amounts of money shoveled out to writers in the days before reality TV (Fox paid one guy $2.5 million a year just to “think funny”) than he is in discussing how exactly he churned out all that dialogue. The emphasis on personal wealth feels a touch unseemly after a while, and the lazy, arbitrary story arc will leave many readers too listless to care.